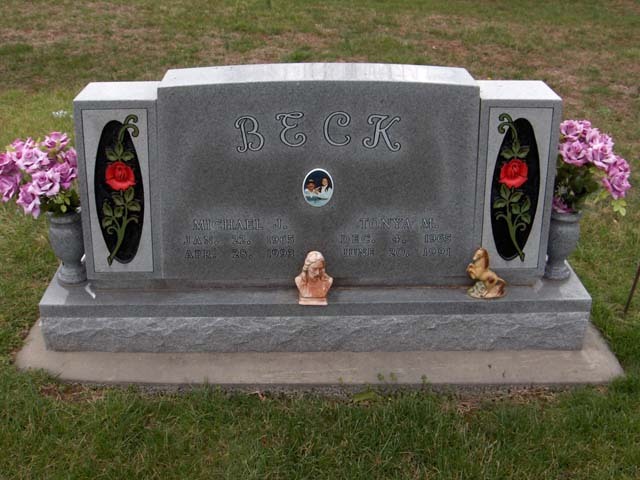 Tonya M. Beck of Glen Allen died Thursday, June 20, 1991 in a car accident here. She was 25. She was born December 4, 1965 in St. Louis, daughter of William F. and Mary Lou Robertson Franks. 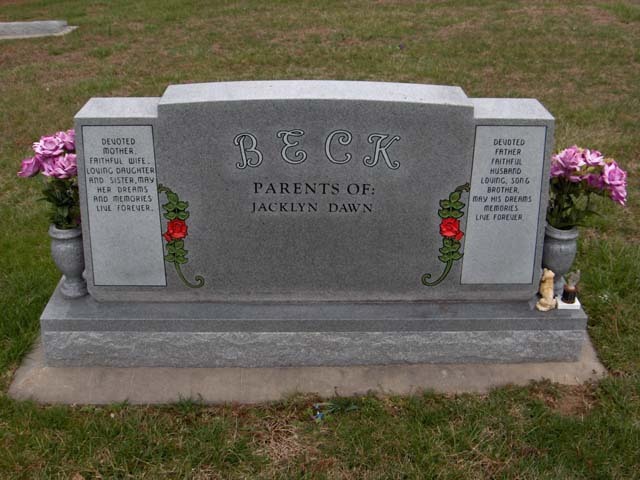 She married Michael Beck on September 17, 1986. She moved to this area in 1989 from Fenton. She was a member of St. Peter and Paul Catholic Church as Fenton. Survivors include her husband, a daughter, Jacklyn Beck of her home; her mother of Glen Allen; three brothers, William Franks of Pacific, Robert Franks of Valley Park and James Franks of Maplewood; two sisters, Martha Higgs of Chandler, Ind. and Marcis Steinbrenner of Valley Park and maternal grandmother, Agnes Robertson of St. Ann. Services were held Saturday at Liley Funeral Chapel. Burial followed in Bollinger County Memorial Park near Marble Hill.